While one luxury car company was calling V8 engines dinosaurs and planning a 316-hp engine as its top gasoline motor, Cadillac took a different direction. It developed an engine with more than twice that power for its 2016 Cadillac CTS-V. 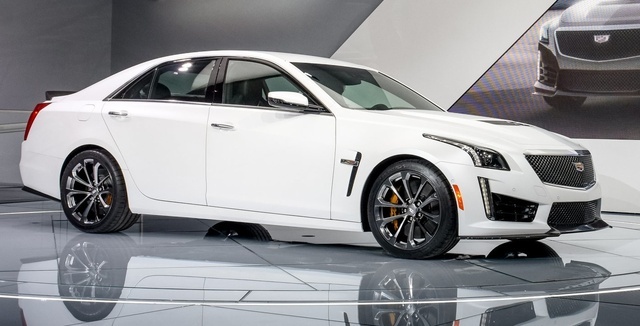 While another competitor was adding a second electric motor to boost its sprint speed to 60 mph, Cadillac built a new transmission so its CTS-V sedan could top 200 mph. While another competitor with questionable reliability was dropping incredible power into its everyday sedan to try to one-up GM, GM tied Toyota/Lexus on J.D. Powers’ Durability Study for segment wins. The 2016 Cadillac CTS-V is the most powerful car Cadillac has ever produced. That's impressive, since Cadillac has produced motors so large over the decades that their displacement was easier to measure in barrels rather than in liters. As Mark Reuss, GM’s top product guy, recently said while speaking about the new 640-hp V8 in the Cadillac CTS-V, “…is a V8 necessary? No. Appropriate, applicable, and awesome? Yes.” Cadillac’s 6.2-liter supercharged is also very efficient, featuring both direct injection and active fuel management (it can shut off individual cylinders when they're not needed). Cadillac knows it has customers who would prefer their luxury performance car to use a more trendy approach, say one with a twin-turbocharged V6 making big torque, but limited power. So Cadillac makes that in the CTS-V Sport. And Cadillac knows that a tiny number of shoppers will want an electric car with sporty looks and performance that's usable around town, and it built one of those, too. Cadillac says that it built this 2016 CTS-V for those customers who want the ultimate performance sedan with no compromises. The suspension of the 2016 CTS-V features Cadillac’s third generation of Magnetic Ride Control. Its dampers adjust by the millisecond and use insane fluid dynamics to do this. It works amazingly well, and it is the technology that now underpins the best supercars in the world. Fast cars stop quickly as well as accelerating quickly. Cadillac equips its CTS-V with the best possible Brembo braking system it can—not in a track option package, like BMW does, but standard on all CTS-Vs. Cadillac could have sourced its transmission from another supplier as well and let them tune it. No. Cadillac instead developed its own 8-speed, paddle-shifted automatic transmission. Using a torque converter is not fashionable these days, since many of Cadillac’s competitors prefer sometimes temperamental dual-clutch transmissions. For a true luxury-performance car, a torque converter has enormous benefits. The body of the CTS-V plays its part in the car’s performance as well. The carbon-fiber hood extracts hot air from the engine bay and then routes it up and over the car to create downforce. The large mesh openings in the car’s grill are all functional and allow the car to both breathe and cool its drivetrain and brakes. The front splitter is not decorative, but as on the Camaro Z/28 and ZL-1, it produces usable downward force at high speed to aid cornering and stability. Past CTS-V cars shared much in terms of equipment and performance capability with the top Camaros and Corvettes. That hasn’t changed. The CTS-V sedan’s performance results speak for themselves: 0 to 60 mph in about 3.7 seconds and a top speed of over 200 mph. That's an exclusive club. Most of the cars in that club are low-slung, compact race cars barely adapted to road use. The Cadillac CTS-V is a sizable luxury sedan equally at home on the road to a family gathering with kids in the back as it is on the back straight of any of the world’s best racetracks. 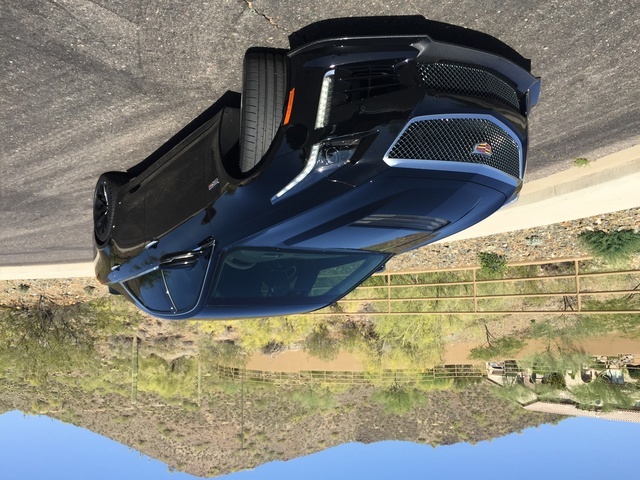 The 2016 CTS-V is a car that moves Cadillac forward from a model perspective, but to really reach the heights Cadillac has set for the CTS-V, it needs to be more than just a fantastic car. The total experience of owning the car needs to be on par with the best offered by the most exclusive car makers. Cadillac’s moving up to be ranked fourth in overall dependability by J.D. Power behind only Lexus, Buick, and Toyota means that in addition to being an amazing automobile, the 2016 Cadillac CTS-V should also prove to have an ownership experience to match. Cadillac moving ahead of Mercedes-Benz, BMW, and Porsche in J.D. Powers’ Customer Service Index only adds proof that both the CTS-V and the Cadillac name are becoming more and more special. What's your take on the 2016 Cadillac CTS-V? Users ranked 2016 Cadillac CTS-V against other cars which they drove/owned. Each ranking was based on 9 categories. Here is the summary of top rankings. Have you driven a 2016 Cadillac CTS-V?